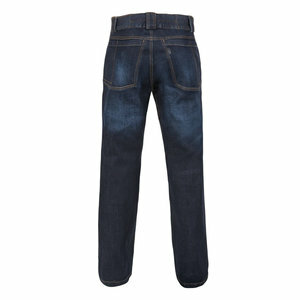 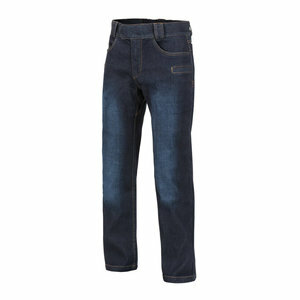 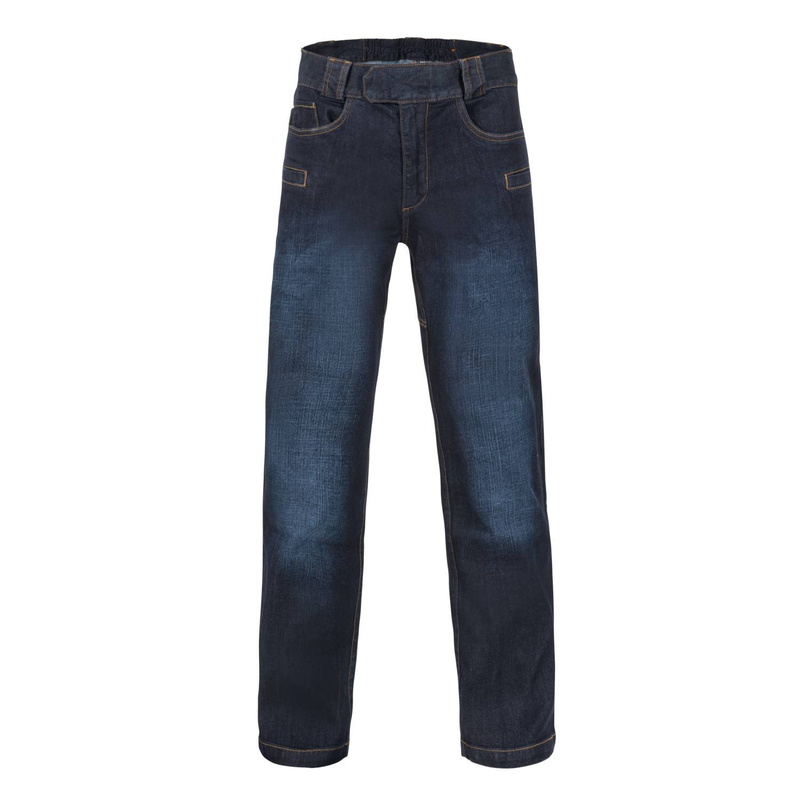 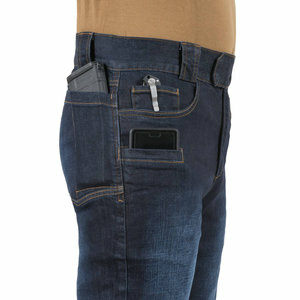 The Greyman Tactical Jeans® are a combination of the tactical features and a low profile look. Crotch gusset gives ease of movement and higher durability. 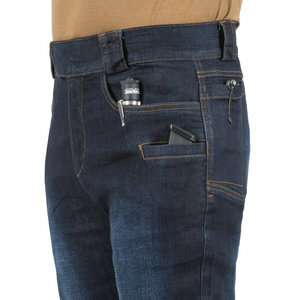 Integral belt is elastic and fastened by hook & loop to allow adjustment. Belt loops would take up to 50 mm wide belt. 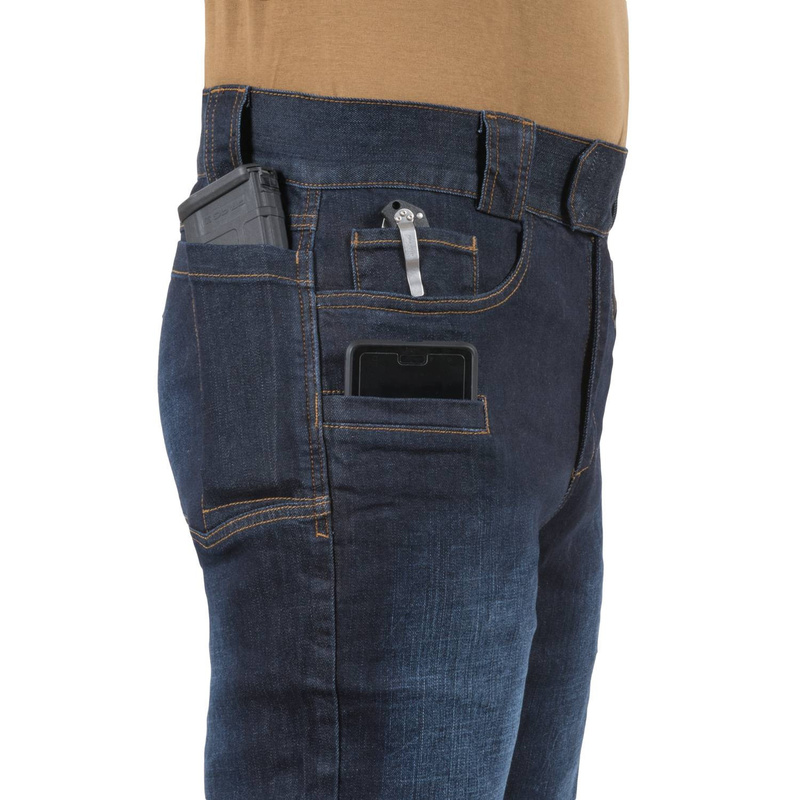 Nine pockets: two main classic pockets on the front, two smaller front pockets, four back and one inside the front right pocket. .